 One week ago, Brazos Fellows officially launched! In spite of Paige and I both battling illness, it’s been a great beginning to our year–from Saturday afternoon’s historical tour of Waco, to Sunday morning’s commissioning of the fellows at Christ Church, to a wonderful welcome dinner with our tutors, instructors, and board members. You can find photos from our weekend here. We’re grateful for each one of our fellows, who have come from all around the world to Waco in order to study, work, and pray together. Our fellows represent a variety of backgrounds, gifts, and interests, and we pray that over these nine months each of them will grow in their sense of God’s call on their lives. It’s one of the things they’ve committed to do–take the time to explore who they are and what God is calling them to. This is why Brazos Fellows invites each fellow to enter into the work of vocational discernment–and not on their own but rather in community. Each fellow will work with a tutor, a spiritual director, and a life coach, spending significant time in conversation and prayer over their callings. We expect that these conversations, over the course of nine months, will be time well-spent for the fellows. Would you pray for the Brazos Fellows’s discernment? Our hope is that our fellows grow in what St. Augustine called “double knowledge”: knowledge of self and knowledge of God. Would you ask the Lord to grant each fellow the grace of increased self-understanding? Would you ask Christ to give them insight into whom he has made them to be? Would you ask the Spirit not only to illuminate God’s call on each fellow’s life but also grant them the courage and strength to follow?